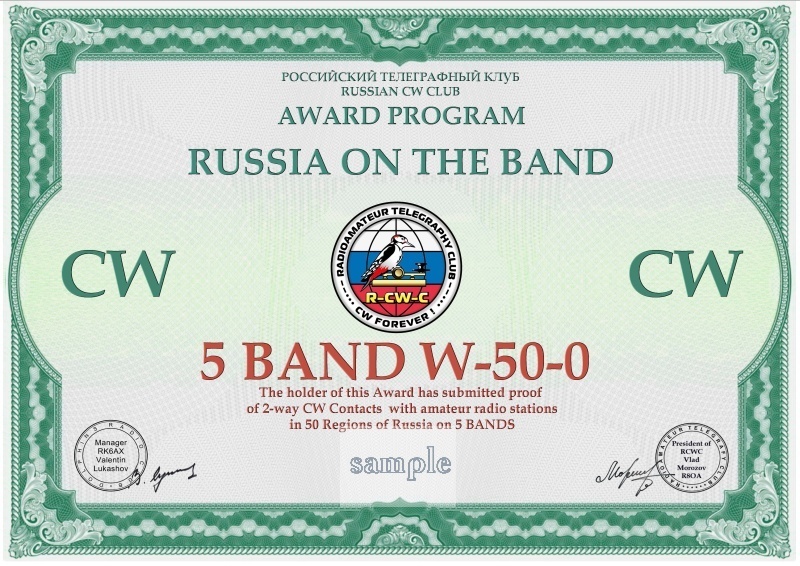 The degree program is founded by the Russian cable club R-CW-C.Diplomas are issued for work by telegraph (CW) with 50 various areas and administrative formations of Russia. 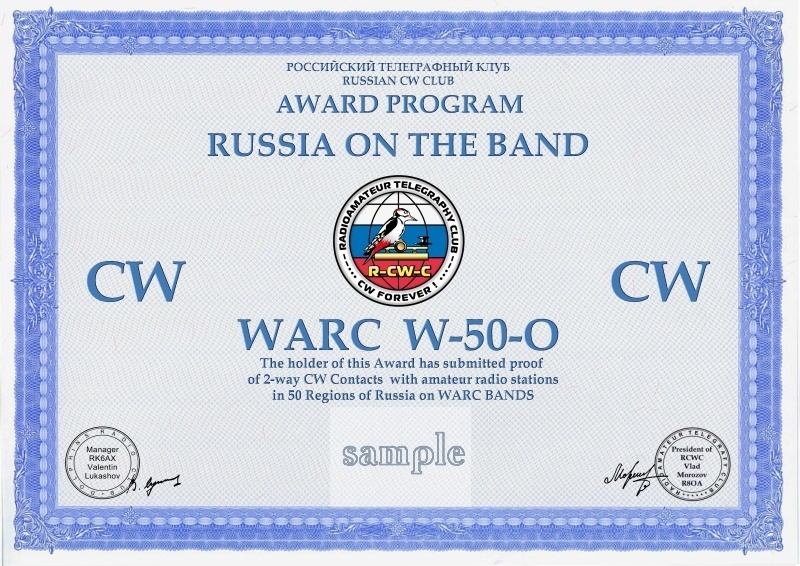 for accomplishment of conditions on 5 amateur bands, for accomplishment of conditions on all 3 WARC bands and for accomplishment of conditions on all 9 bands. 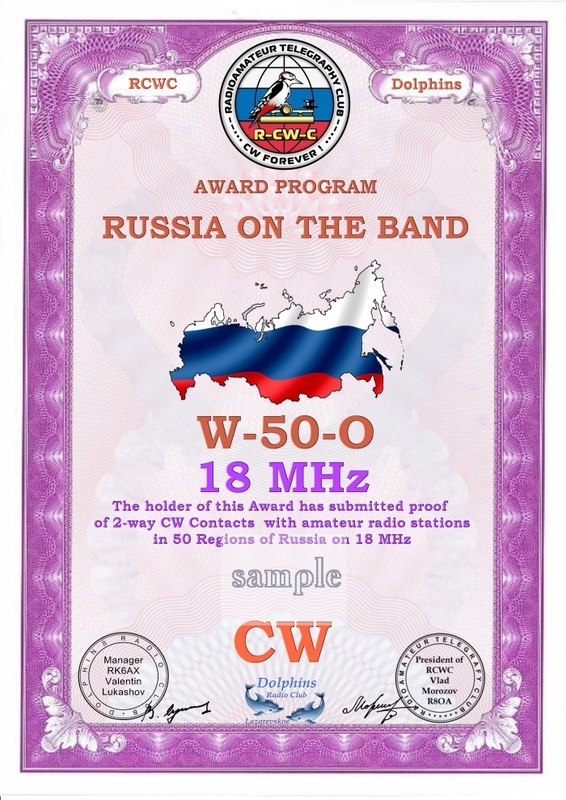 W-50-O-1,8 МHz, W-50-O-3,5 МHz, W-50-O-7 МHz, W-50-O-10 МHz, W-50-O-14 МHz, W-50-O-18 МHz, W-50-O-21 МHz, W-50-O-24 МHz, W-50-O-28 МHz. The urgent list of the regions of Russia which are set off for diplomas of W-50-O is stated below. Radio communications are set off since January 01, 2000. Radio communications with the Republic of Crimea and the city of Sevastopol are set off since March 23, 2014. 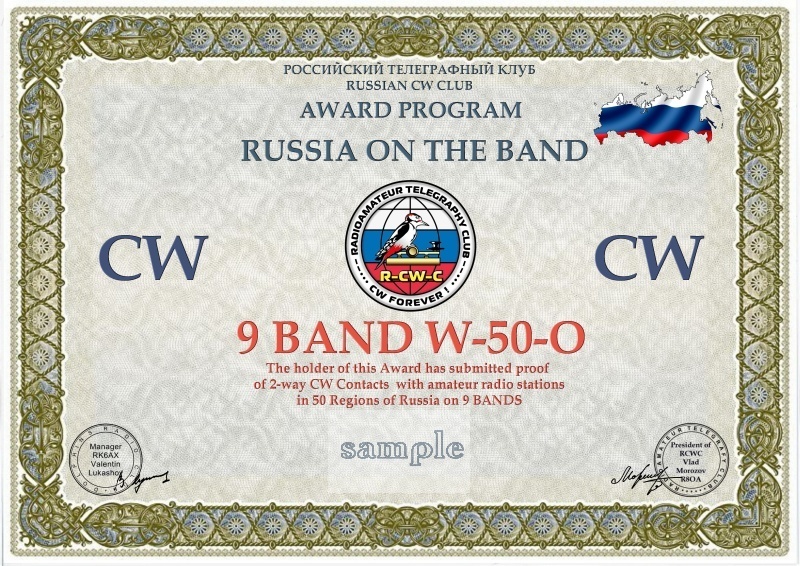 Diplomas are issued free of charge in electronic form.